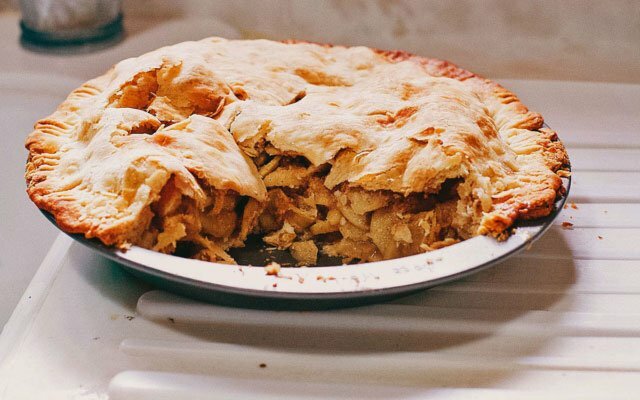 We’ve made it our mission to try every country’s national dish(es). And if possible, Ren will recreate it as well. 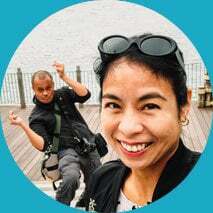 Aside from sharing our own stories, we’d love to hear yours too. 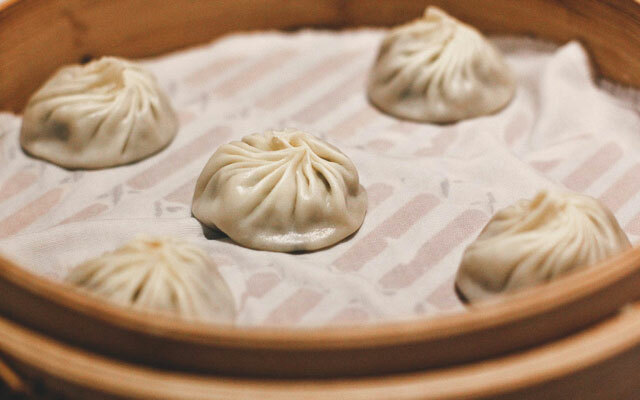 If you’d like to contribute to our National Dish Quest, then please visit THIS PAGE for more information. The main reason cepelinai is so fatty is that it was meant to feed hungry workers or to help survive cold winters. The crazy thing is that cepelinai was named after Graff von Zeppelin because those dumplings look just like the airship he invented. 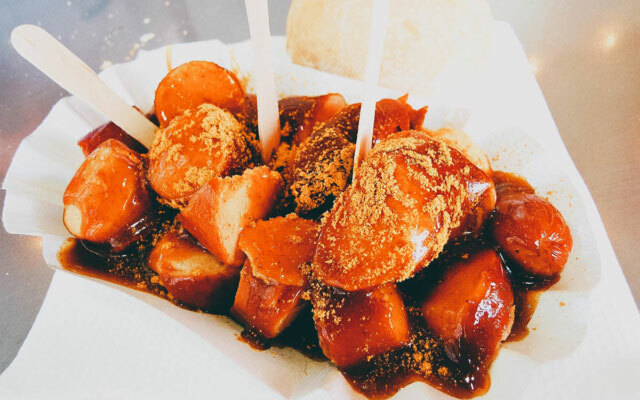 Currywurst is said to originally come from Berlin. Miss Herta Heuwer from Berlin was the first to invent the curry sauce after the Second World War and from there on the Currywurst phenomenon has evolved and spread all over Germany. 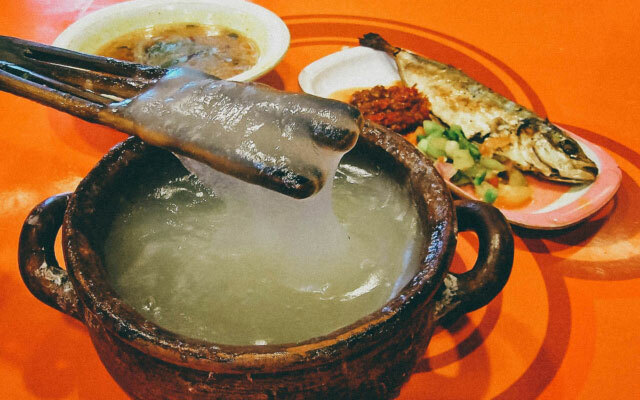 Ambuyat is a dish made from the interior trunk of the sago palm. Do you know what sago is? It is white solids being derived from the trunk of a Rumbia tree. And Ambulung is the local term for sago. 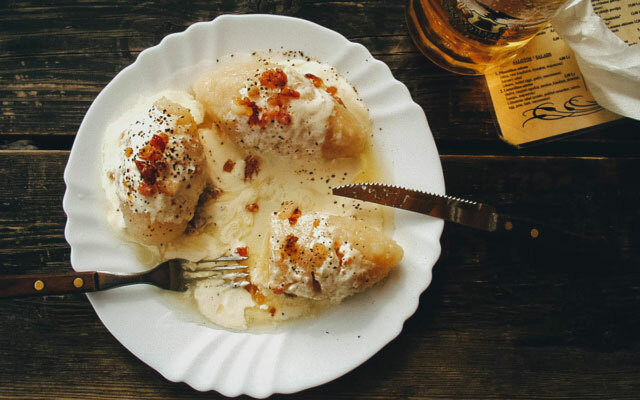 The national dish of Slovakia, bryndzové halušky, is potato-dough gnocchi smothered in salty sheep bryndza cheese, and topped with fried bits of smoked, fatty bacon along with some of the fat. 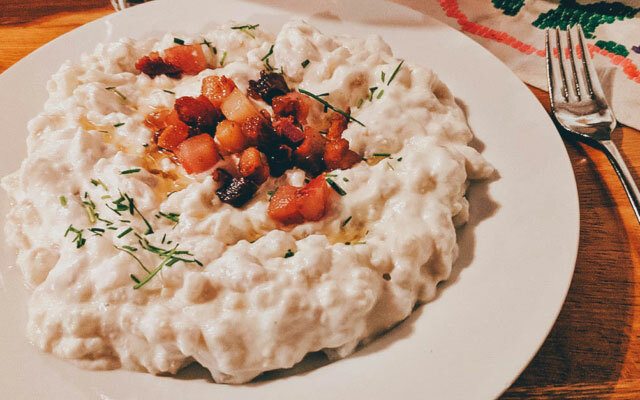 The ingredients are staples of the Slovak cuisine, and the dish itself exemplifies its nature. In the Maltese way of life, partaking in Fenkata is a way of expressing joy and a welcoming ritual for friends and visiting relatives. Pans of simmering Fenkata fill the air with inviting aromas during festive celebrations, or a momentous life event. 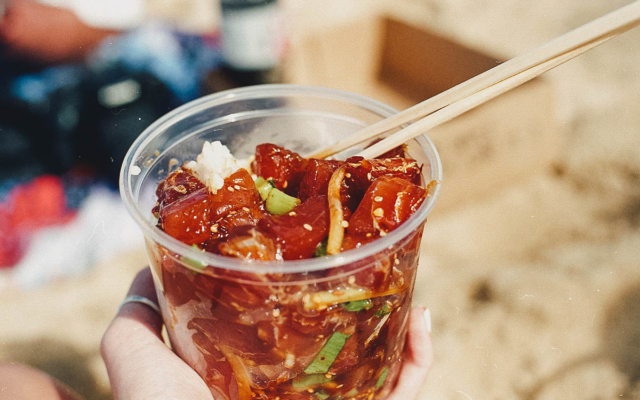 Poke, a dish that is very much the result of multicultural influences, came to existence in the 19th century when Japanese, Chinese, Korean and Filipino plantation workers arrived in Hawaii to work the sugar and pineapple fields. In California, some things are a given. There’s always traffic on Interstate-5. Sunsets along Route 101 are sensational. And like Disneyland, In N Out Burger, and the DMV, there’s always going to be a line outside of every Julian apple pie location. 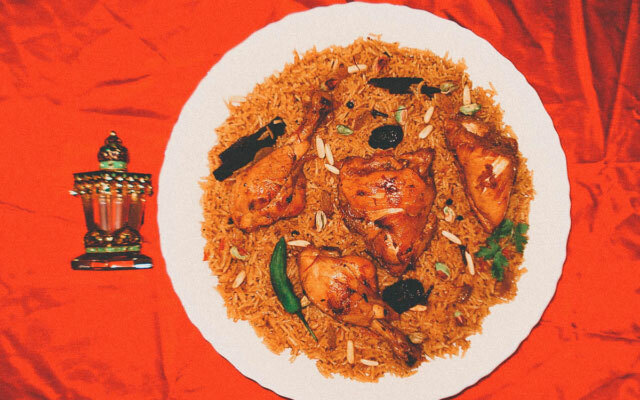 Machboos is the national delicacy of Qatar. 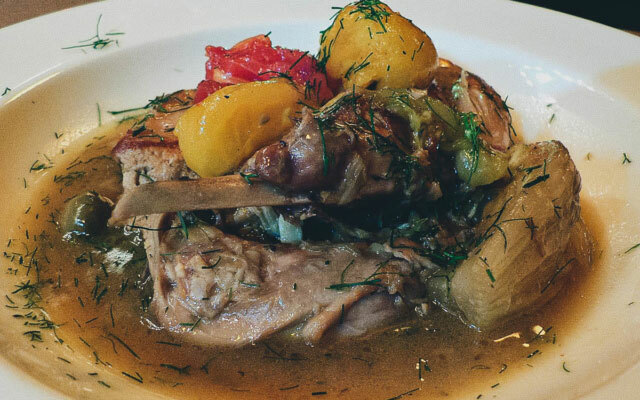 Also popular in other countries such as Saudi Arabia, Kuwait, Bahrain, and UAE, this dish is slow-cooked to give it the most sumptuous flavor that one could possibly think of. Near and dear to every Filipino's heart, adobo is the one dish that transcends top 10 lists. 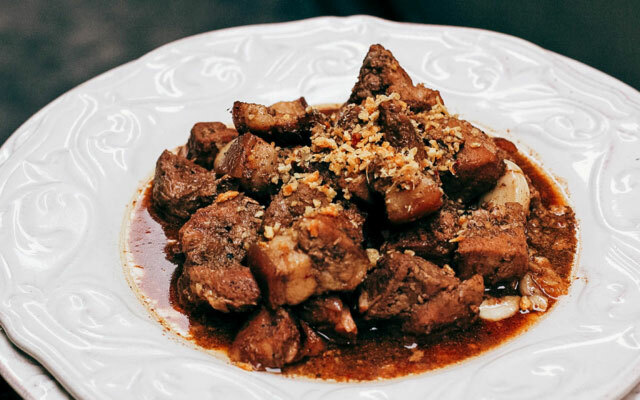 Don't even think of writing a "Best Adobo in Manila" list because you'll have everyone's mother to contend with. 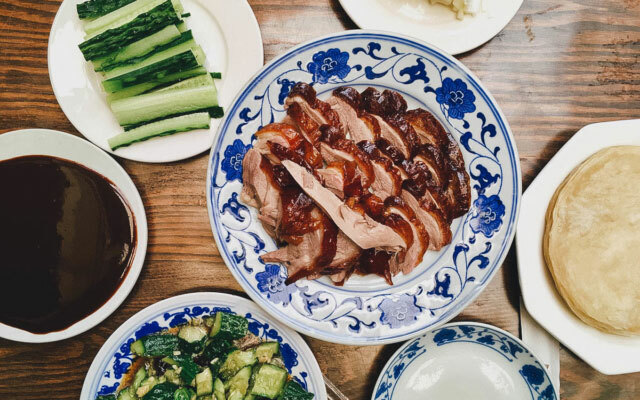 A Peking duck dinner is on the must-do list of every visitor to China’s capital, usually sandwiched between a long day getting lost in the labyrinth of the Forbidden City and sweating their way to the top of the Great Wall. "Obara" is a thick soup. 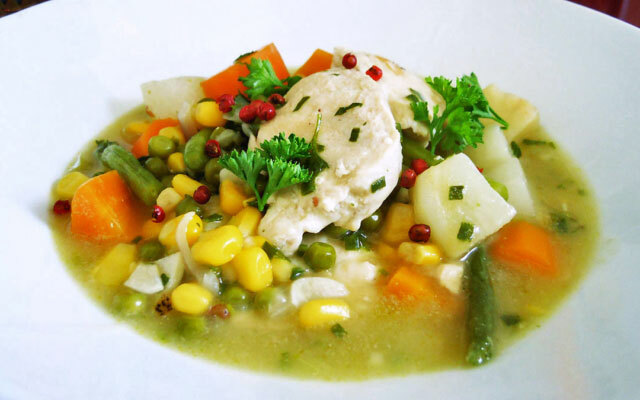 It can be made only with vegetables or you can also add some meat. The favourites are the "Obara" with chicken or beef. It's a simple, rich one pot dish. One pot, that means only one pot to clean, but most important all the flavours will come together making a great combo. 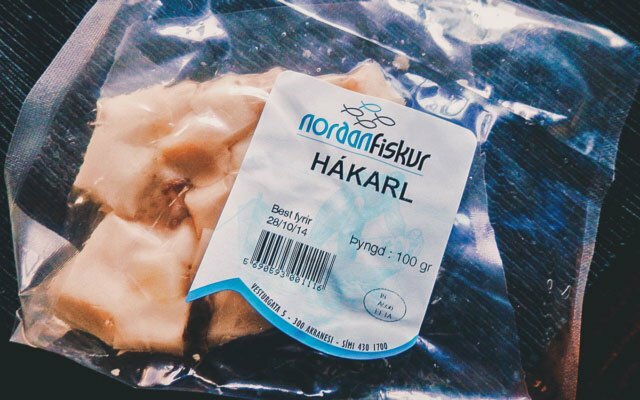 Hakarl is a national dish of Iceland, consisting of Greenland shark meat, that has been buried, rotten and fermented. The reason for the fermentation process? Well, the Greenland shark is poisonous to eat in it’s natural state due to extremely high levels of trimethylamine oxide and uric acid in the flesh. 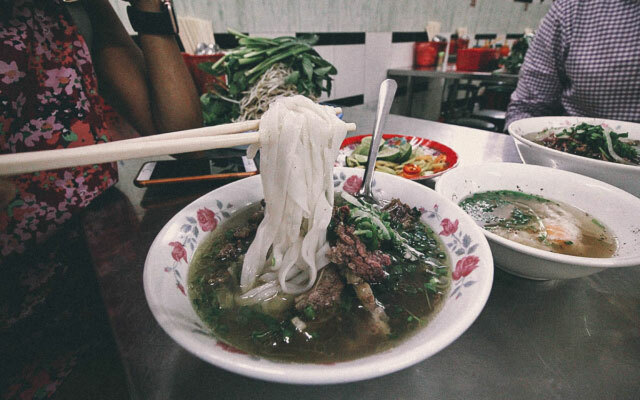 Even if you aren't familiar with Vietnamese food, chances are you've heard of phở. 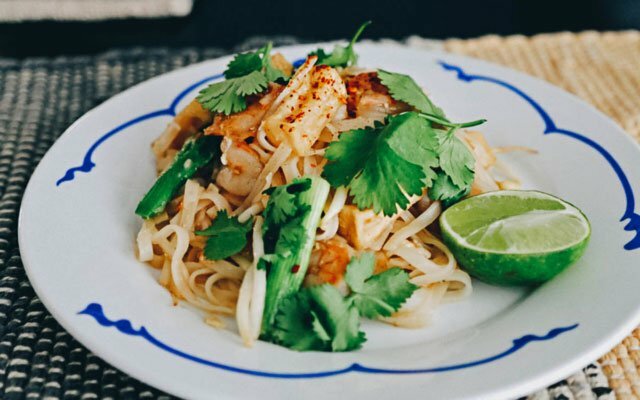 It's a popular Vietnamese street food and is considered a national dish of Vietnam. 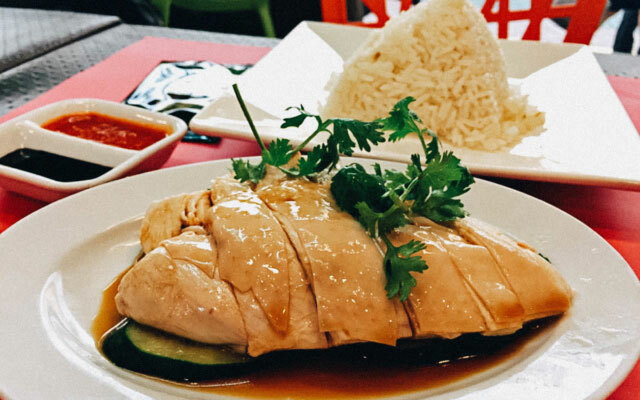 For me, it's the quintessential Vietnamese food and the first thing that comes to mind when I think of the cuisine. 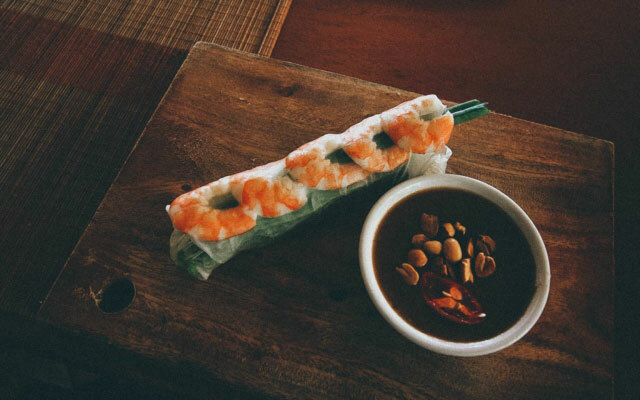 There are many varieties of fresh spring rolls but my hands down favorite is the Vietnamese gỏi cuốn. Translucent with alternating hues of orange and green, not only are they some of the tastiest fresh spring rolls, they’re also among the prettiest. 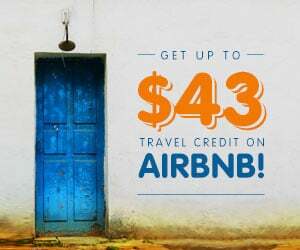 The most oft-repeated statistic about New Zealand is that the country has 4 million people and 40 million sheep. 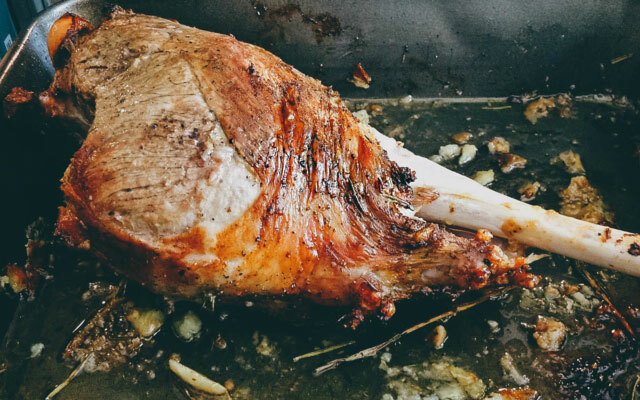 No matter where you go in New Zealand, you will find lamb on the menu, cooked in every way imaginable, and it will be unfailingly delicious. Lumping this polymorphous staple of Chinese cuisine into one generic term is much like saying your favorite hue is “color” --- there are literally endless variations and it would be impossible for one single description to embody all the different types of dumplings that exist in the multiple regions of the Middle Kingdom. Pavlova is a meringue-like dessert made from egg whites beaten stiff with caster sugar and cornstarch, baked just enough to have a crisp outer shell but a soft, gooey inside. 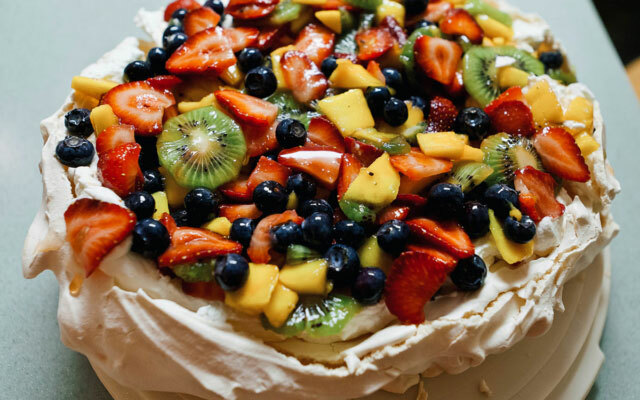 It is topped with whipped cream and fruit, especially kiwifruit and summer berries.